Aksys Games has released an updated preview of what will be in its Death Mark Limited Edition. 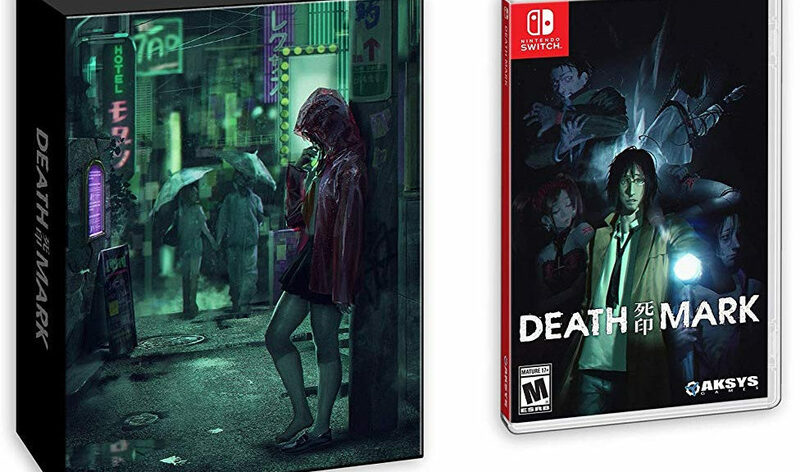 In death mark (PS4, Vita, Switch), a strange rumor is spreading in Tokyo’s H city: those who possess the “mark” will die. Unexpectedly appearing on the body, like a chewed up birthmark, the “mark” is said to result in an unknown death. Now, having lost your memory, you Stand before a mysterious House said to protect those who possess the “mark” as the doors swing open, the countdown to death has already begun. 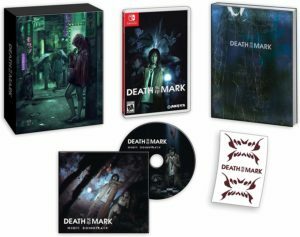 Deathmark limited Edition Includes game for PS4, Vita, or Switch, exclusive 96-page full-color hardcover art book, spooky soundtrack CD, temporary tattoo Sheet, and a dramatic printed Slipcase to hold everything. Content images are not final and details are subject to change. You can still grab a copy here (ships worldwide).